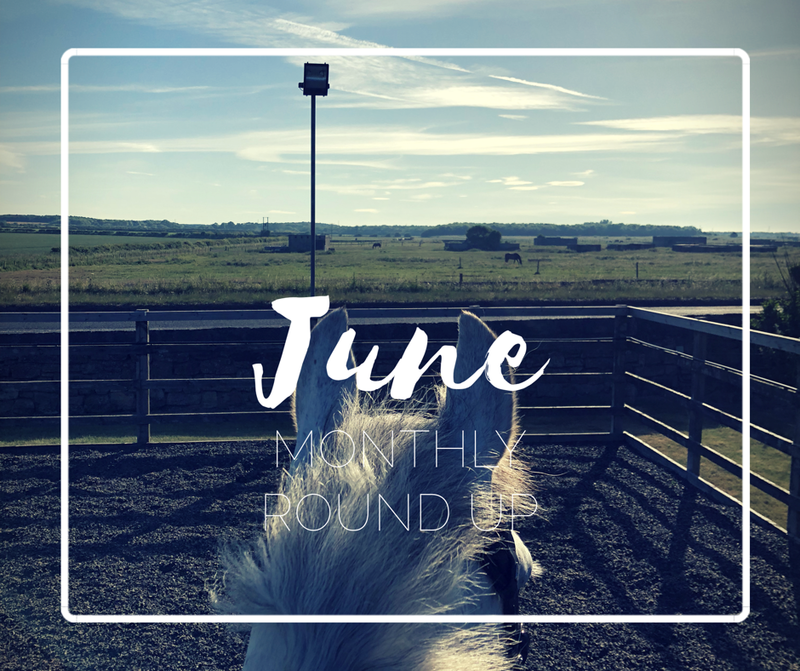 In one moment I think for the first time ever it’s felt like a long break in between writing my monthly round up... But in another Louie’s rehab seems to be passing much quicker than I anticipated. When the vets said 6-8 weeks before any sort of work can be re-introduced, it seemed a lifetime ago, yet here we are, having just passed the SIX WEEK marker! Instead of sitting around moping about the situation, I took the opportunity to going on an Access All Areas course with British Eventing taking place at Belsay horse trials; my favourite local event! I actually stumbled across the email advertising it during my Friday lunchtime and thought to give it a go last minutes. Texting the organiser, Ruth, I never expected there to be any spaces left, but I was delighted to discover there was. I’m not sure what was more brain numbing boring... BUT it felt fab to be back in the saddle. I was, as expected, nervous the first few times that I climbed onboard. Not for Louie’s behaviour, but because I was terrified his fracture would snap through under the weight of the rider. After a couple of times, I felt much more relaxed, and began asking for more contact, and to introduce walk-halt-walk transitions. After a couple of weeks, we were including leg yielding, shoulder in and walk pirouettes, as well as a couple of walk poles. FINALLY...something to keep us occupied. So here we were, mid June & four weeks into rehab, but a horse and definitely a rider that became bored of walking about quicker than you can blink. Secondary reaction = OMG! How will that fracture cope on such hard ground!? I have to hand it to the yard I’m now stabled at, they were beyond supportive, doing some very creative juggling to give Louie the flattest paddock with the quietest companion. They were also on hand to turn him out every morning at 6.30/7am and bringing him back in 9.30/10am. We agreed that we would start on the weekend, mostly so I could be there to make sure Louie was OK.
Louie can be a total drama queen about somethings, but one thing he is fairly sensible about, is turn out. So I wasn’t too worried, especially as I knew the little piglet would be more interested in the grass. A few days later, it was time for a vet check, signalling the five week marker. I was away with work so it was Andrew’s turn to walk him out for the vets, and what followed was a very pleasing report from the way he is using the leg and that he clearly is in no discomfort, even after a couple of weeks with a rider and some turnout. Even better...a week later, we could start introducing low levels of trot work into our activity, starting at a few minutes and building it up. Right on the six week mark, we did a few strides of trot!!! I felt all the nerves that I had when I’d got back on a walk - all of the what ifs can flooding in my mind. But I needn’t have worried, everything went to plan well, with Louie slightly perplexed as to me asking him to trot!!! So we’re heading into July very happy, and are hoping to even make 20-30 minutes of a mid-July session with Cathy. Fingers crossed!